Concerns about the relevancy of a physical store combined with the pressures of pursuing omnichannel retail has certainly left brands reeling. In fact, this last year has posed more questions than it answered. Do consumers prefer e-commerce to bricks + mortar? Are millennials the future of retail, and what do they expect? Does technology rule all? For retailers with physical stores, these questions sparked fear and a potent urgency for adaptation. However, in 2017 and beyond, there will be further calm, clarity and definition for brands striving to remain relevant. Throughout this post, we’re going to discuss shopper preferences, the importance of seamless retail and most importantly: why bricks + mortar stores are far from dead. RETAIL DOESN'T END WITH TECH. Last year saw a spike in articles referring to technology as the future of retail – and we won’t shy away from our own research into this topic – but this momentous claim resulted in fear that physical retail would lose its significance amongst an increasingly tech-savvy generation of shoppers. However, the rise in digital media is not to be feared; instead retailers should be utilising the benefits of technology to pursue seamless shopping for customers. A re-examination of the physical space to assess how it can collaborate with technology will ultimately benefit the retailer and the customer. Let’s use Made.com as our key example. Located in Soho, Made.com showcases a select number of products (updated and changed on a regular basis) for customers to browse. However, the key feature is the ability to use one of their NFC enabled tablets to scan these products and save to a wish list for potential purchase later. 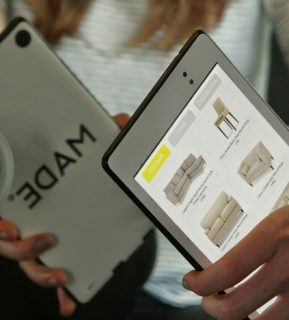 In this case, Made.com extends from the norms of a store and becomes a showroom with seamless physical and digital advantages. Adopting technology in-store may be part of the future, but it doesn’t end there. 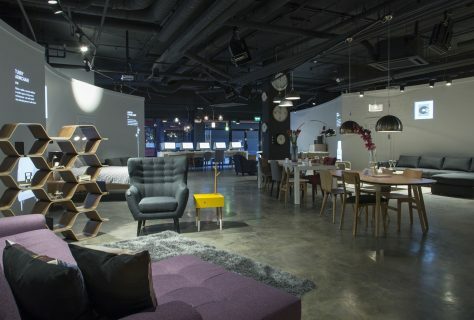 Customers still prefer to get really involved with their products, meaning that the physical store will maintain its relevance and adapt to become a showroom, collection point, brand space or experiential location. Pop-ups have been around for some time, but they are gaining momentum because pop-ups are modern showrooms for brands. – Forbes. We’ve recently written a post on the future of pop-ups which you can find here, but they deserve a section of their own in this post too. In recent years, there has been a rise in new brands choosing to stay away from bricks + mortar, choosing e-commerce or social media as their own channels. 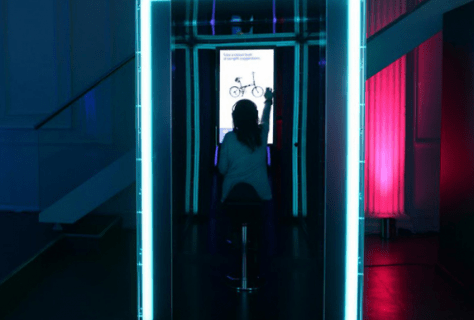 However, as time progresses, pop-up stores have increased their popularity immensely as brands look to test the waters in a physical location and engage with their customers on a personal level. We’ll choose Hello Fresh as our example for this. 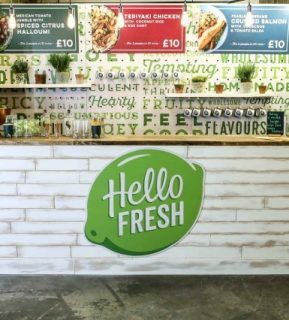 Responding to customers who admitted they would like to be able to pick up a box on their way home, Hello Fresh chose a space within Old Street Station as the perfect collection location. The physical space allowed the brand to connect with new and returning customers, engaging on a personal level which couldn’t be achieved online. Online-only brands have their place in the retail world, but they also recognise the importance of the physical space via pop-up spaces. And it’s not just temporary retail that wins, brands such as The Idle Man + Missguided have extended from e-commerce to reveal permanent bricks + mortar stores. If e-commerce brands understand the value of opening a store or pop-up space, there remains hope for all retailers with bricks + mortar stores. Since an emotional relationship is built on trust, delivering on your retail promises is an important part of establishing that trust. – My Total Retail. Tezcan’s comment could be applied to all industries with e-commerce platforms. 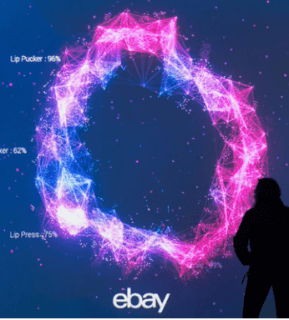 Just think of the E-Bay pop-up in November 2016, constructed to take the stress out of shopping and focus purely on emotional connections with products. This connection with customers within a physical space, opens the door to possibilities which extend product sales alone. It allows them to build a relationship with the brand, as well as the individual brand ambassadors; building a loyalty far stronger than an e-commerce platform. In-store shopping is far from dead. That’s the point we make in our title, throughout our post and we want to end with it too! Bricks + mortar will forever continue to be important in the retail sphere – but it will have to constantly adapt and update to correlate with shopper behaviours, latest trends and technology. 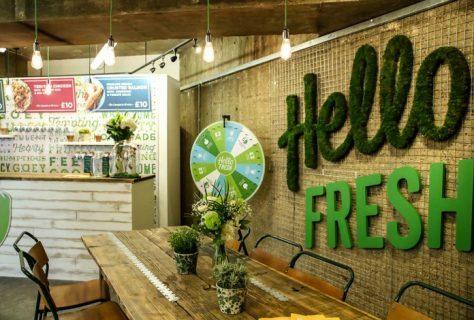 Just like Missguided and Hello Fresh, e-commerce brands should look to temporary or permanent retail spaces for brand engagement whilst retailers already occupying a physical store should be re-evaluating their space with modernity in mind.